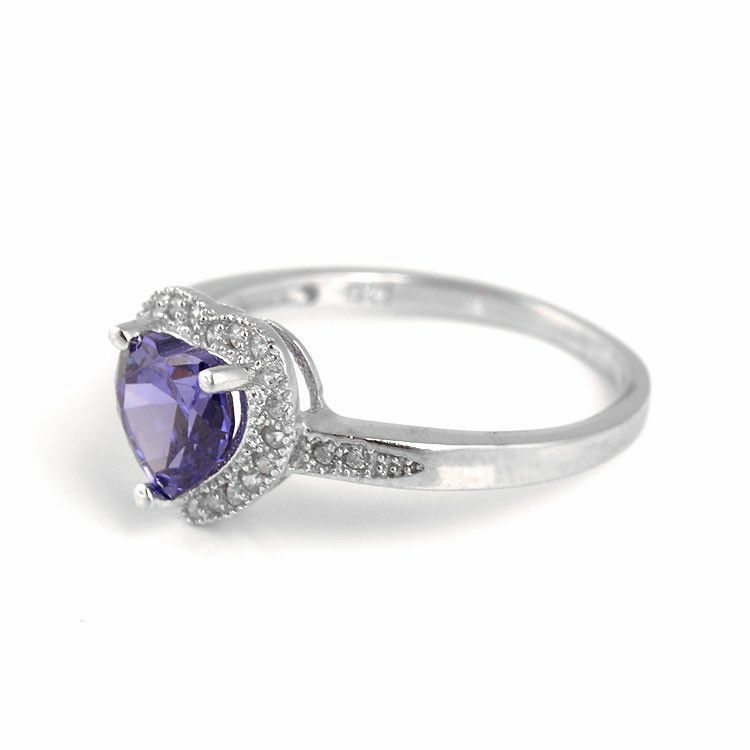 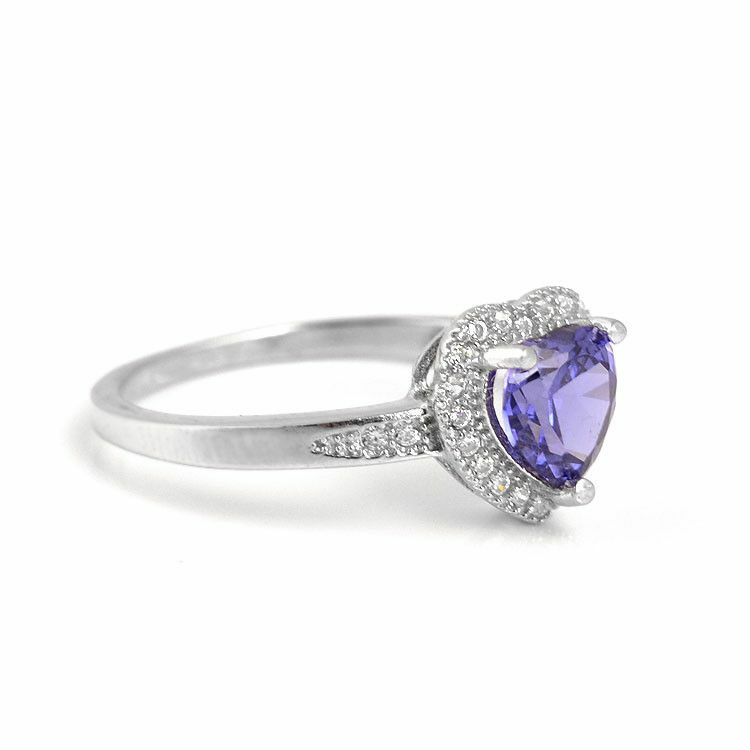 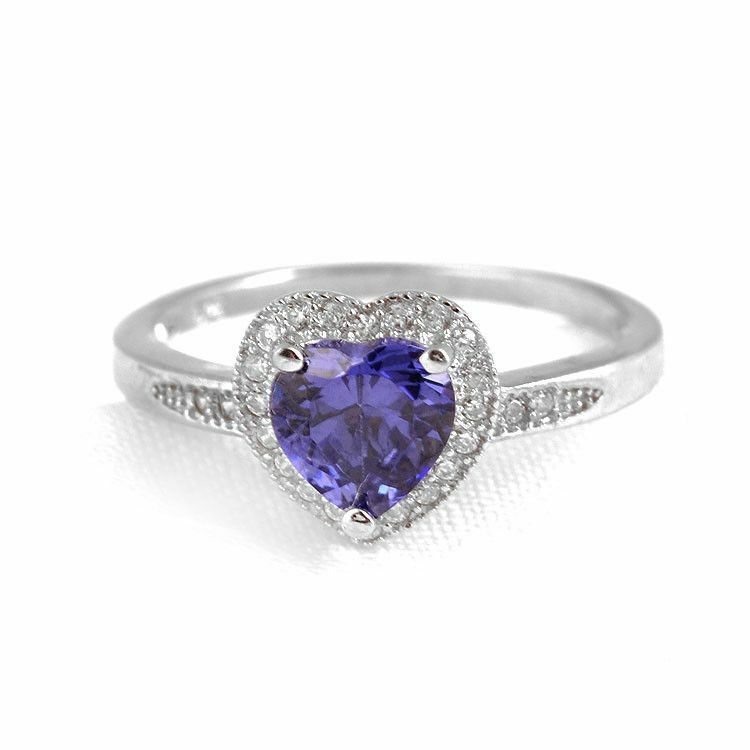 This heart ring sparkles with bluish-purple hues from the heart-shaped lab created Tanzanite stone and the tiny cubic zirconias surrounding it. 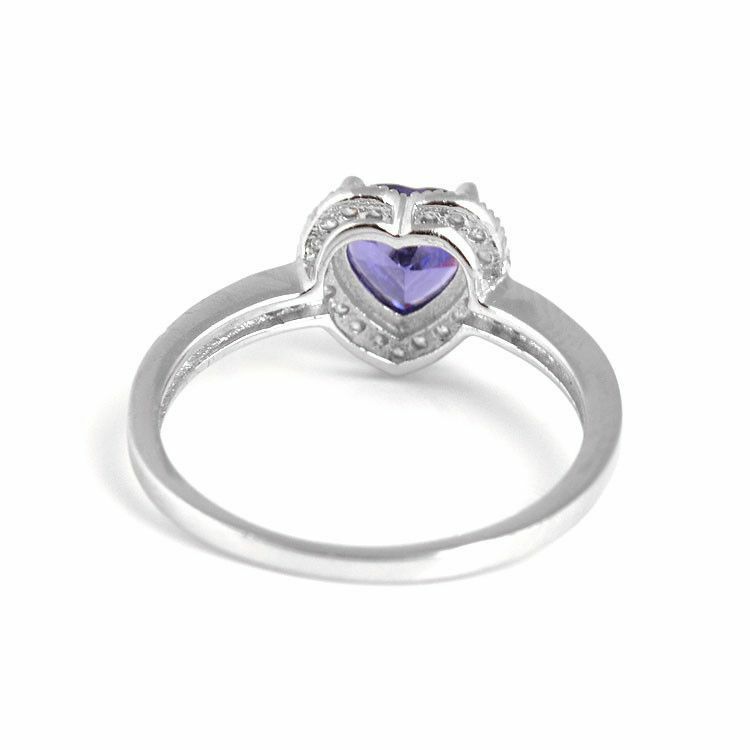 The nearly 1/4" x 1/4" heart sits high in a sterling silver 3 prong setting. 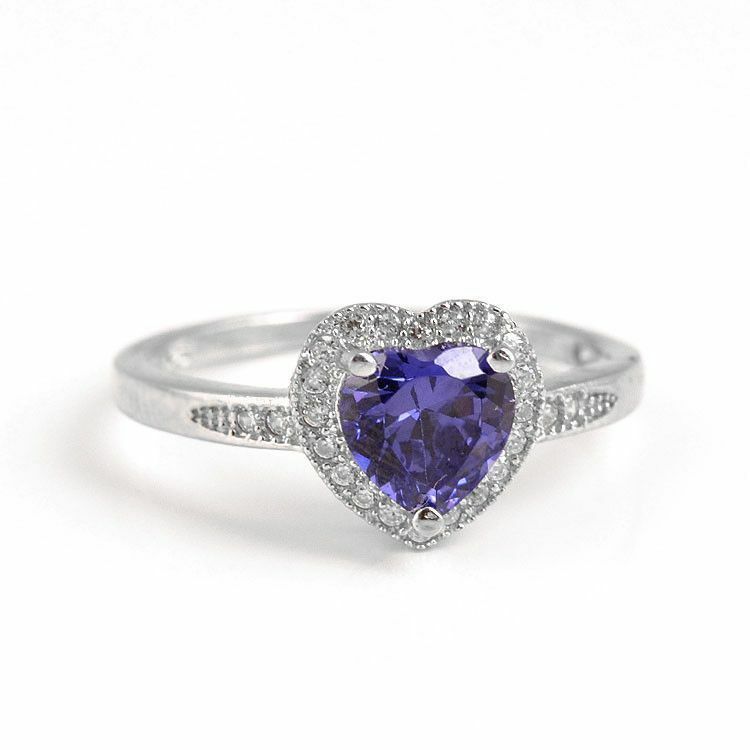 Beautiful heart-warming gift for that special lady or yourself!